Sheer blush adds a touch of glow to the cheeks. Sheer blush is a cosmetic used to contour and add natural-looking color to the cheeks. This type of blush comes in several different formulas, including powder, liquid and cream. Unlike more vivid products, sheer blushes are translucent, which means that a person’s skin can be seen through the product. Sheer cosmetics are ideal for people who want to be able to layer their color, without appearing overly made up. There are a few different ways to apply sheer blush. The most common method is to apply blush to the apples of the cheeks. This creates a healthy glow and adds warmth to the face. Sheer cheek blush can also be added right below the cheekbones. The color should begin at the apples of the cheeks and end at the temples. This contours the cheekbones and makes them appear more pronounced. Sheer blush is available in powder, liquid and cream formulas. Powder is usually the easiest to apply and works with any type of foundation. Liquid blush is more hydrating but also requires additional blending. Of the different types of blush, cream blush is the most difficult to apply. While this type of blush provides a dewy appearance, it requires some skill to control and blend. Translucent blushes are also available in matte and shimmery formulas. Matte formulas are designed to add flat, even color to the face. When applied to the face, shimmery formulas will catch the light and create a more dimensional appearance. Some sheer blushes also contain glitter, which will create a dramatic shimmering effect. The main benefit of using a sheer blush is that these beauty products tend to look very natural. Other types of blush sometimes deposit an overwhelming amount of pigment. Unless a dramatic appearance is wanted, a highly pigmented blush can be difficult to blend into the skin. Sheer blush offers a less severe look. People who want to enhance their skin without hiding it will benefit the most from using a sheer product. Since these products are translucent, the natural skin can be seen through the cosmetic. Using a sheer blush is an easy way to create a natural daytime glow, without making a dramatic statement. This is not to say that sheer blushes cannot look dramatic. One of the greatest benefits of using a sheer blush is that it can be applied in layers. Applying an additional layer of product will increase the intensity of the color. Users can apply as little or as much as they need to create the look they are hoping to achieve. 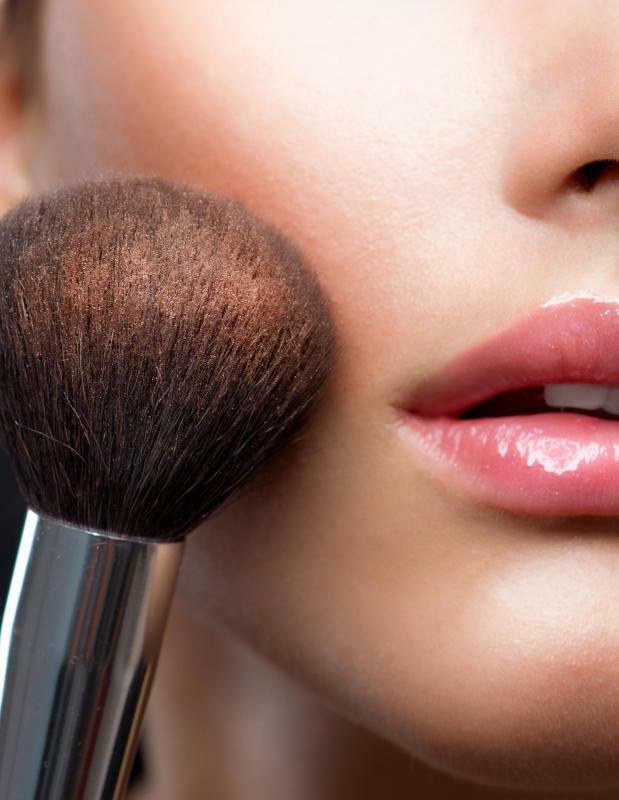 What is Sheer Mineral Makeup?